Please use the form below to inquire about this product. Need to know more? Just ask! Durawise Battery lights have proven to be a real winner in Ireland over the past few years. They now come with the inbuilt timer technology from Durawise, and the variety of string sizes to choose from. simply install the batteries, choose your desired function and Voila. the lights will remain switched on for six hours from the time you firsts turn them on. after six hours the lights will turn themselves off, and come back on again 18 hours later. So if you first turn the lights on at 5pm they will stay on until 11pm. they will stay off until 5pm the next day and repeat this cycle until such time as the batteries wear out, or if you manually turn them off. The expected battery life is 30 days in memory cycle. * Open late Wed-Fri 20:00 during Xmas! 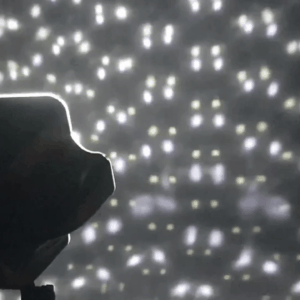 LED Snowfall Projector Looking for something a bit different this year for your Christmas lights? Why not take a look at this wonderful Festive Snowfall projector. LED Warm White Twinkle Cherry Lights The LED Warm White Twinkle Cherry Lights are brand new for 2017. Available with an 8 setting control box (Including steady on and Memory controller). These Large LED lights will bring a beautiful warm glow to your outdoors or indoors this season. They also twinkle in set patterns for an impressive display. 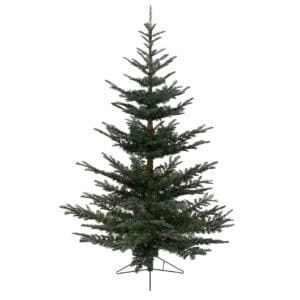 Nobilis Fir 7ft (210cm) When we first came across the Nobilis fir Christmas Tree by Kaemingk, we stood back in awe. This is truly the most realistic looking Artificial Christmas tree we have ever seen. 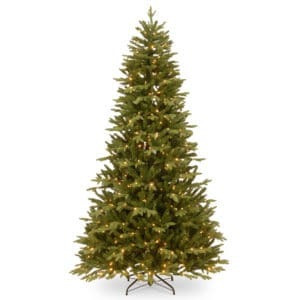 The Nobilis Fir is a classic Christmas tree, and is available this year in 7ft, 8ft and 10ft heights. LED Cool White Twinkle Cherry Lights The LED Warm White Twinkle Cherry Lights are brand new for 2017. Available with an 8 setting control box (Including steady on and Memory controller). 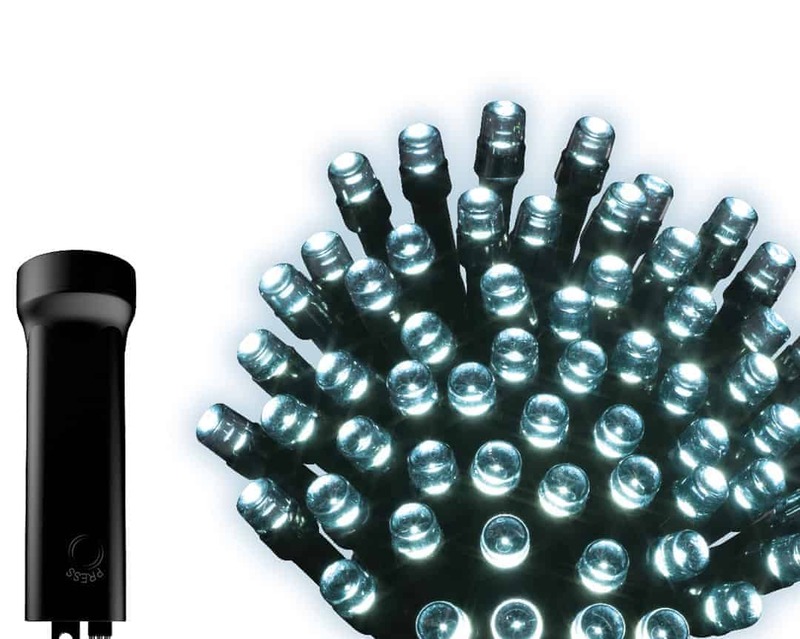 These Large LED lights will bring a beautiful sparkling white glow to your outdoors or indoors this season. They also twinkle in set patterns for an impressive display. A beautifully crafted tree with exceptional attention to detail and an authentic quality. 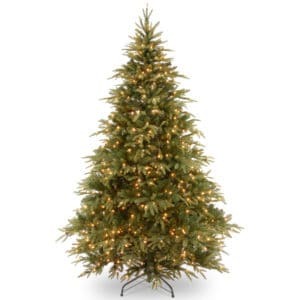 The Burlington Spruce is a handsome tree that will stand proudly wherever you put it every Christmastime. 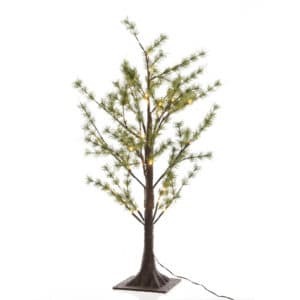 With its "Real Feel" branches Built from superbly realistic looking polyethylene and backed with a strong aluminum construction, this tree is designed for durability in mind. LED XP Heavy Duty Connectable Outdoor Lights Ice White FDL (10m) Pack of 100 Ice White lights. Our Led Heavy Duty connectable LED lights are available in 2 colours, Warm White and Ice White. Each box contains a 10m string of 100 lights with a connector on both ends. 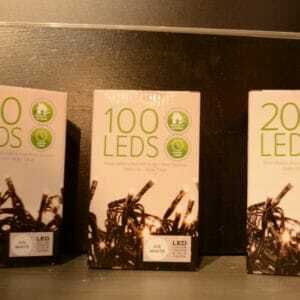 You can join up to 2000 lights (20 packs of 100) from only one power source (2m Power Lead sold separately). The dark green heavy duty cable is UV resistant so can be left out all year round. Easy setup: hinged sprung branches means setup can take as little as 3 minutes! Highly realistic, premium quality Christmas tree. No mess, no fuss, and will make Christmas a hit for years and years. 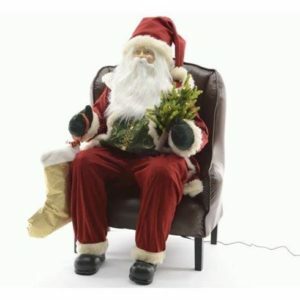 Light up your Christmas with these superb Christmas Lights. These lights are made from LED technology ensuring a long lasting glow and exceptional energy saving. Alongside their longevity, these lights are built for indoor and outdoor use and can be powered via USB port or three AA Batteries (Not included) for incredible energy saving with . Each set also comes with a long insulated green coloured cord to help protect against the elements. A perfectly balanced mix of of price and power. These festive lights come in a number of different configurations. Nobilis Fir 8ft Artificial Christmas Tree When we first came across the Nobilis fir Christmas Tree by Kaemingk, we stood back in awe. This is truly the most realistic looking Artificial Christmas tree we have ever seen. 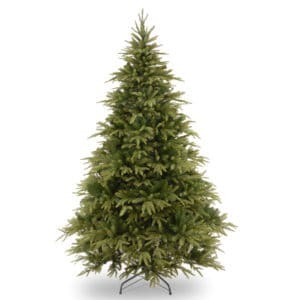 The Nobilis Fir is a classic Christmas tree, and is available this year in 7ft, 8ft and 10ft heights.